This trunk was designed to be a all inclusive sports nutrition workstation. 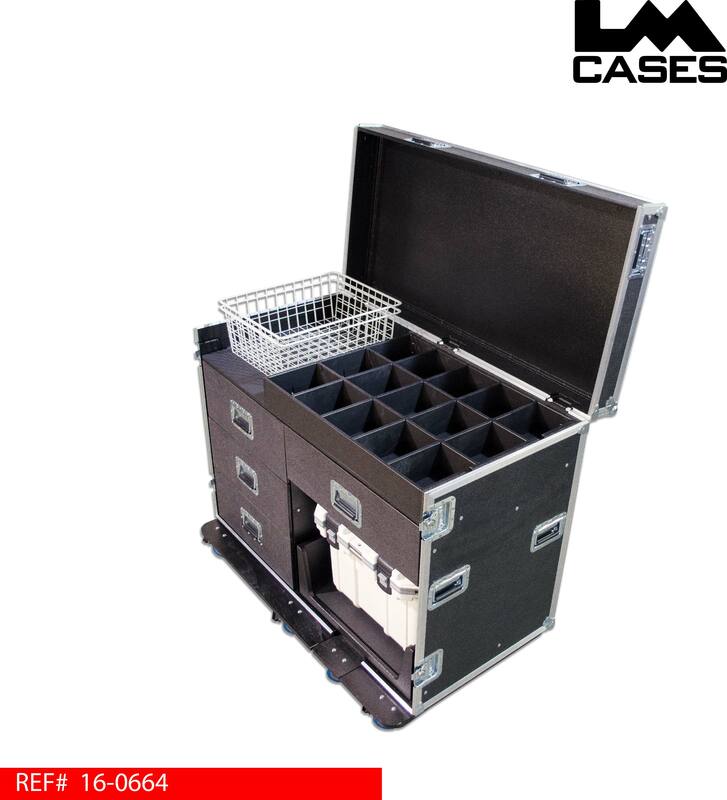 The trunk features 15 cubbie compartments in the top portion of the case for bars and other food items. The top of the trunk also features two removable wire baskets for fruit. The baskets include custom hangars that allow them to sit flat against the side of the trunk. Below the top work surface are 4 drawers mounted on HD Accuride glides and finished with black texture coating. The trunk also features a Pelican 30qt cooler that is held on a slide out dolly. 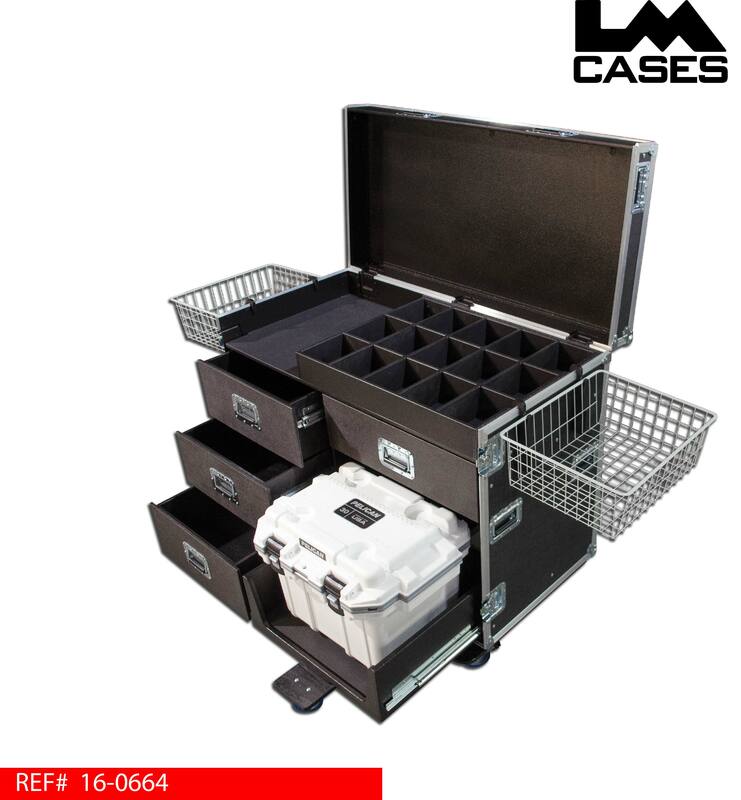 The Pelican cooler is very heavy duty and is designed to keep ice from melting for 7-10 days. 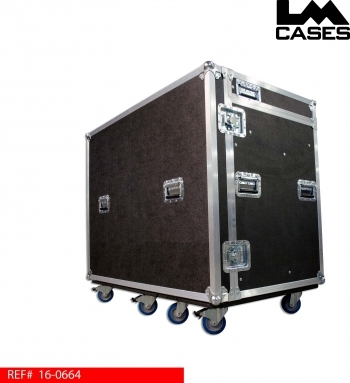 The cooler is accessed, and loaded/unloaded from the trunk by placing it on a slide out dolly that allows the cooler to be moved in and out of the trunk with out lifting. The exterior case is built out of 3/8" plywood laminated with black ABS plastic. The trunk features table legs mounted in the front lid, deep recessed hardware and 4" Colson casters.